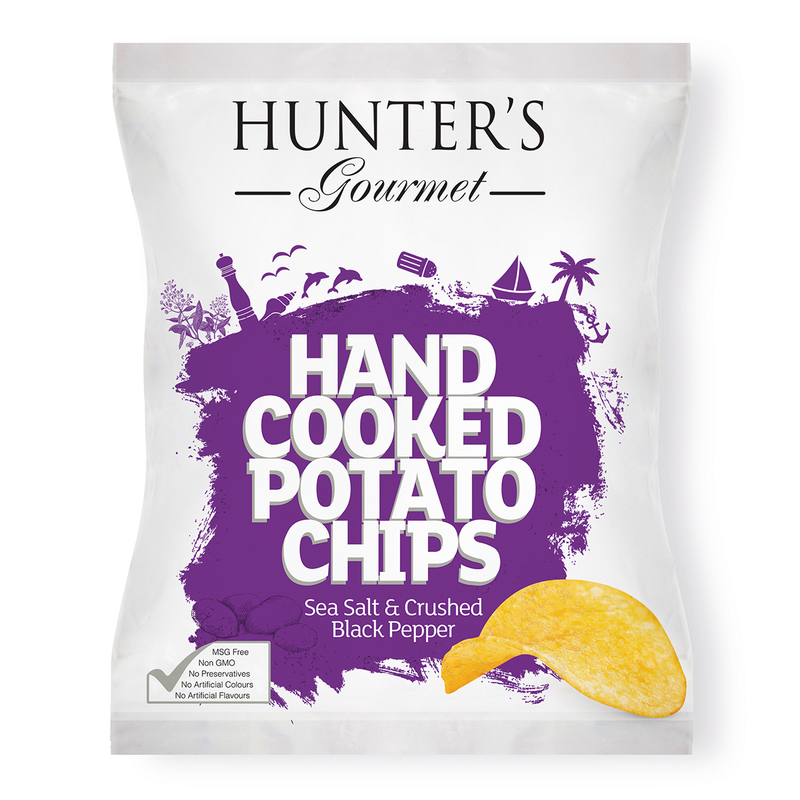 The very best quality potatoes, sourced for their superior taste and distinctive crunch, are cut into thicker slices and hand cooked in a kettle right here in Dubai. The chips are delicately flavoured, with a very rounded, mouthful of well-balanced spicy chilli peppers taste, bite after bite. They are MSG free and all natural. Right afterwards, they are packed in our world-class, foil-lined pouches straight away. We definitely do our best to ensure that they reach you in all of their just-cooked, delicious glory. 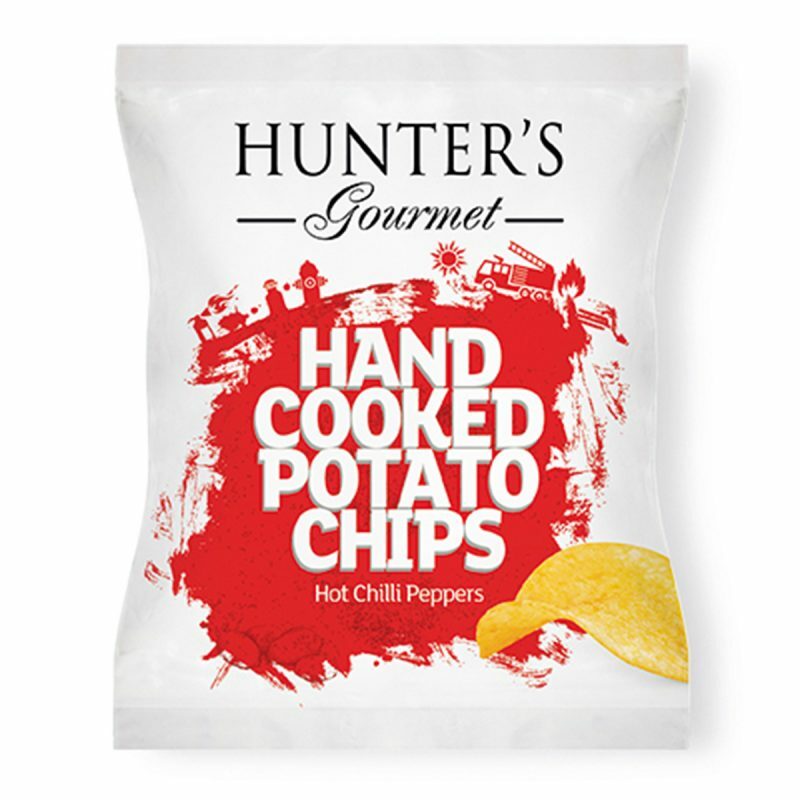 Hunter’s Gourmet Hand Cooked Potato Chips – Hot Chilli Peppers (40gm) 40gm Packet. Potato Chips, MSG Free, Non GMO, No Preservatives, No Artificial Flavours, No Artificial Colours, No Transfat, No Cholesterol, Halal. Potatoes, sustainable palm fruit oil, hot chilli peppers flavour: [sugar, salt, wheat flour, herbs & spices (cumin, pepper, paprika, chilli), rusk, onion powder, yeast powder, tomato powder, whey powder, annatto, dextrose, lactose, garlic powder, citric acid (E330), anti-caking agent (E551), beetroot powder (E162), paprika extract (E160c)]. So tasty and delicious. Its so crunchy and the flavor is awesome. My favourite snack on the Go. Love this flavour. 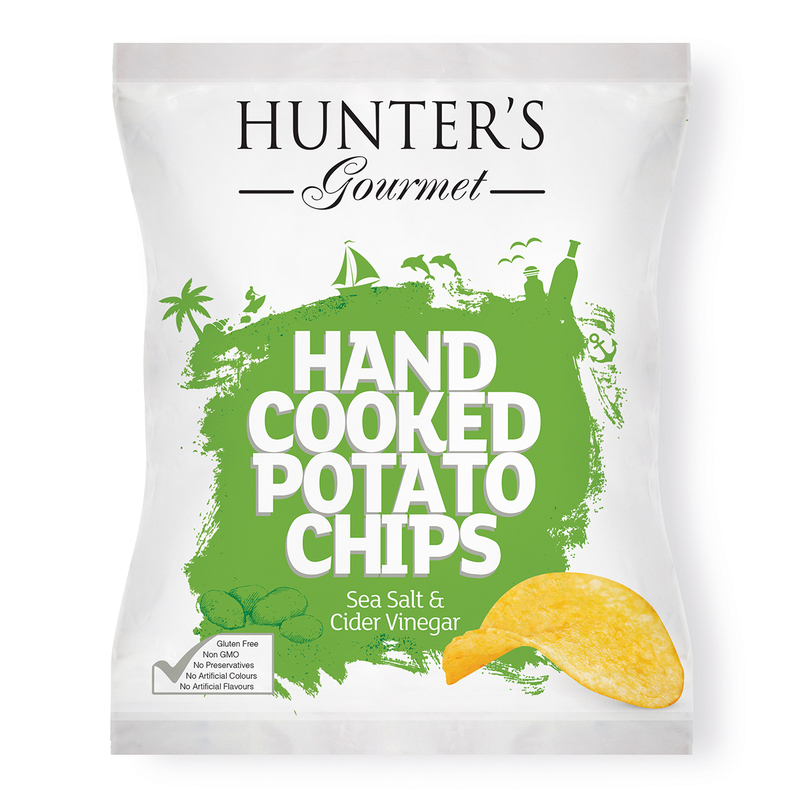 It has the right amount of spice and is just as light as the rest of Hunter Foods amazing chip range. Makes you want to keep having more.